What is dog day care? Here at our Truro based Oggy Doggy day care we like to think that we provide a service that you may have struggled to find elsewhere. Whether you are out at work, having a day away or perhaps just giving your pooch the opportunity to hone their social skills, we will give your dog the ultimate day out! NO CAGES OR KENNELS will be found here!! 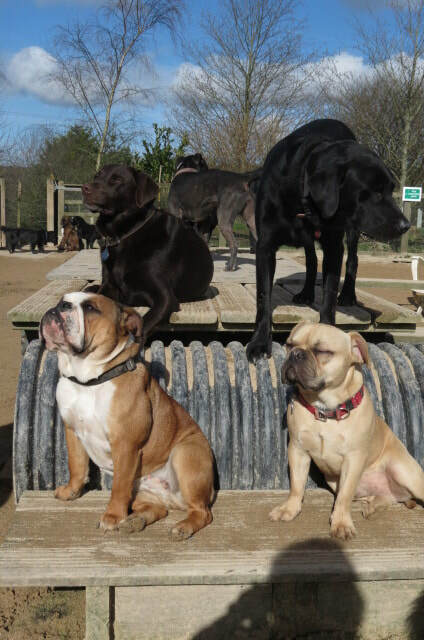 We give all the dogs in day care our full attention for the full time they are with us. 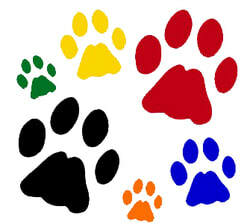 Oggy Doggy is located on the outskirts of Carnon Downs which is easily reached from both Truro & Falmouth areas. The daycare centre is set within a privately owned smallholding of six acres making it spacious, quiet and safe. During your dogs day here they will have free access to a comfortable day room which is heated by a large wood burner, perfect for relaxing in front of after time spent exploring the exciting outdoor adventure park. Some dogs are happy to indulge in lengthy fun and games with other members of the group and some will require more human interaction where we will provide oodles of hugs and cuddles unlimited! Do you dream of having a new puppy but worry about leaving him or her home alone??? Well we may have to answer!! Here at Oggy Doggy we can take your new pup as soon as all vaccination jabs are completed. Your pup will be constantly cared for, fed, toilet trained & socialized leaving you free to go off to work safe in the knowledge your pup will be having a great day with all his/her puppy needs taken care of.